Over the past few years, Facebook has become one of the most influential websites in the world, and every business wants a little piece of the action. And why shouldn’t they? Over 1 billion people are active users of Facebook – that’s a huge, accessible network where your business can extend your influence…if, of course, the tool is properly used. 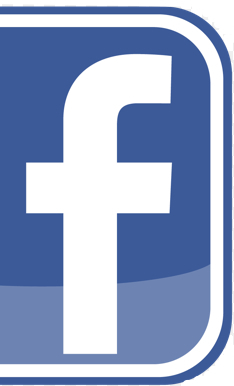 Facebook is the new frontier of marketing and all you need to jump in is a little knowledge. Invigorate your image- What’s one of the worst possible adjectives to have associated with your business? It’s the word “boring.” Spice up your profile, make it exciting – or else everyone who sees it will simply move along to the hundreds of other pages they could visit instead of yours. Emphasize customer benefits- Show Facebook users what makes you different from every other company in your field. Tell them directly what they will gain from working with you rather than any of the others. This makes the experience more personal for the reader and will draw them towards doing business with you as you convince them of your unique value proposition. Have a personal URL– If you want to be able to guide people to your profile, you need to have a recognizable and distinct URL. Make it easy for the searcher because the harder they have to look, the less likely that they will result in being an actual, buying customer. Post pictures frequently- Facebook users love cool or quirky pictures. Just look at the average newsfeed and notice how the posts with images or infographics seem to stand out among the rest. Take advantage of this by posting engaging photos of your products and business. If viewers like them, they may even be shared and reshared, creating an ongoing, viral source of free advertising. And that’s the whole point, isn’t it?! Develop an online presence- Search engines love sites that are new and relevant. By keeping up with an online Facebook profile that contains updated info and regularly posts new content, you are showing search engines that you are at the cutting edge of information, and your SERP rankings will receive a boost in return. Link to your content- When it comes to marketing with Facebook, you should think of this tool as a bridge to connect users to your other content. You can use your status posts to provide a link back to your website and draw interested readers to your business (this strategy is particular helpful for promoting blogs). Dabble in mobile marketing- The Facebook app is now available through most of the newer tablets and smartphones. This provides your business with yet another opportunity to take your marketing campaigns into the next level marketing. Go mobile and use Facebook to build brand awareness and make yourself more available to the public – on whatever devices they are using! 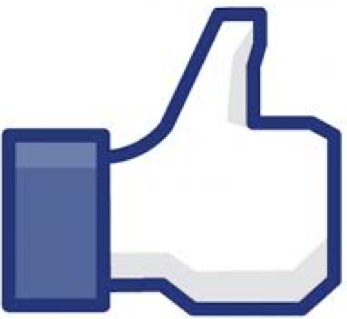 Engage your customers- Facebook is a great way for consumers with questions or comments to have their opinions heard. It also gives you the chance to answer those opinions or questions with direct responses, building a sense of trust and approachability with your current and prospective customers. Every hour millions of people log onto Facebook all across the globe. If you can tap into this wellspring of potential clients and master effective marketing with Facebook, you will be able to vastly enhance your business’s status in the competitive world of online marketing. It’s now up to you…reach millions of people or let the opportunity pass you by? The choice is obvious, isn’t it? For help managing an effective social media campaign using all of the major outlets (Facebook, Google+ Twitter and LinkedIn), contact a Farotech social media expert today!